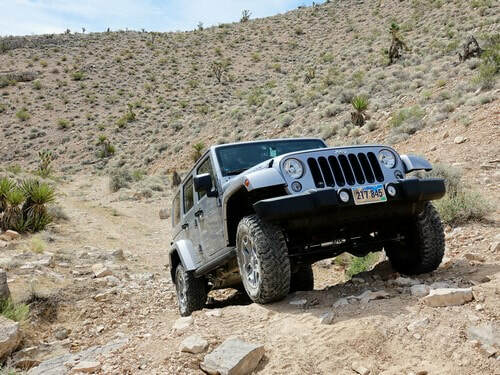 Railroad Canyon is a short rock crawling trail in a wash close to Las Vegas. There are numerous minor obstacles, but only one of any significance. 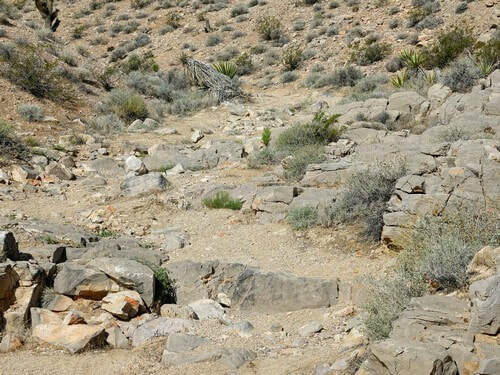 The ledge shown in this photo is the major obstacle that gives the trail a 3.5 rating. If a person were to stack all the rocks that are are at the sides of the ledge it would only deserve a 3.0 rating. 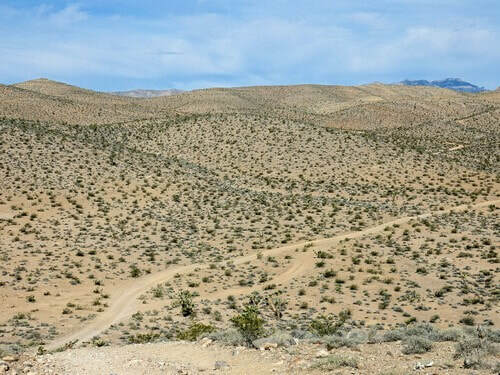 There is a simple Jeep trail heading in from Las Vegas Boulevard. Not much for scenery. 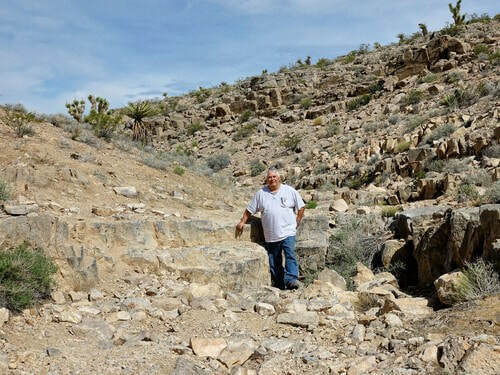 ​The wash has numerous small obstacles along the entire length. There are only 2 obstacles of any significance on the wash - the major one and this second lesser one. 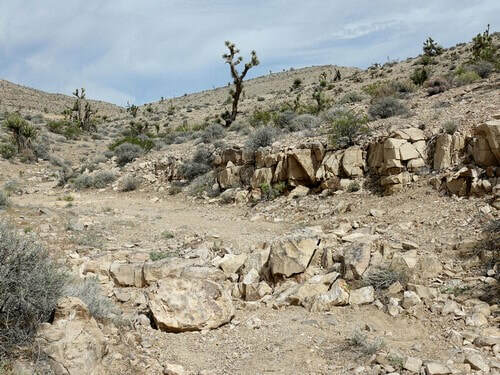 The actual trail ends in less then 4 miles at a waypoint called "Point of YES Return". We suggest you turn around, run the trail backward and go do something interesting. 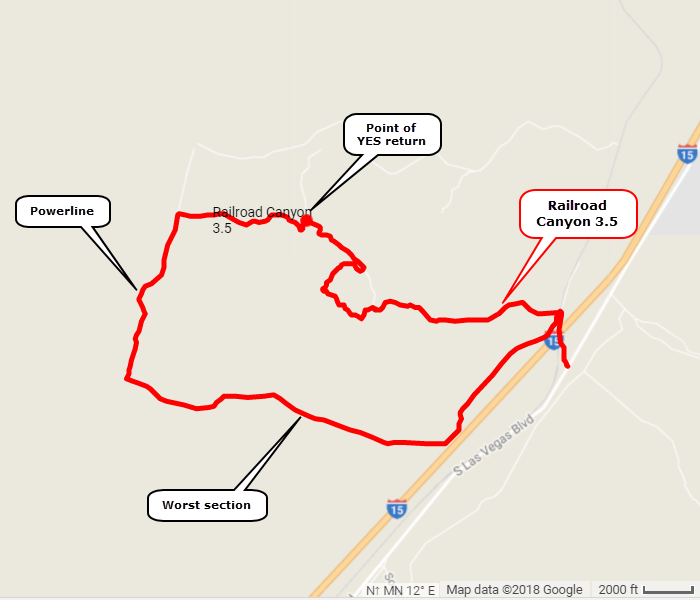 We wanted to make the run a loop instead of an in-and-out so we added what is shown on this page. The addition is not all that interesting. 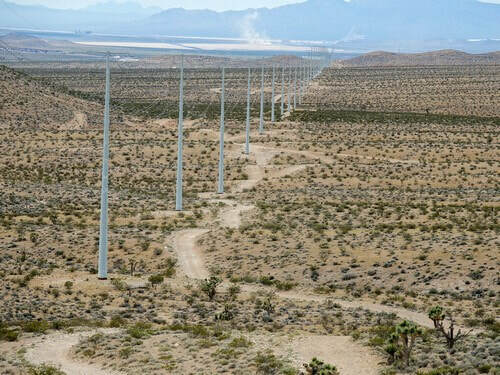 The hills shown below, and the short section of powerline that is used, are not too bad. The road from the powerline back to the beginning is rough, bumpy and boring.